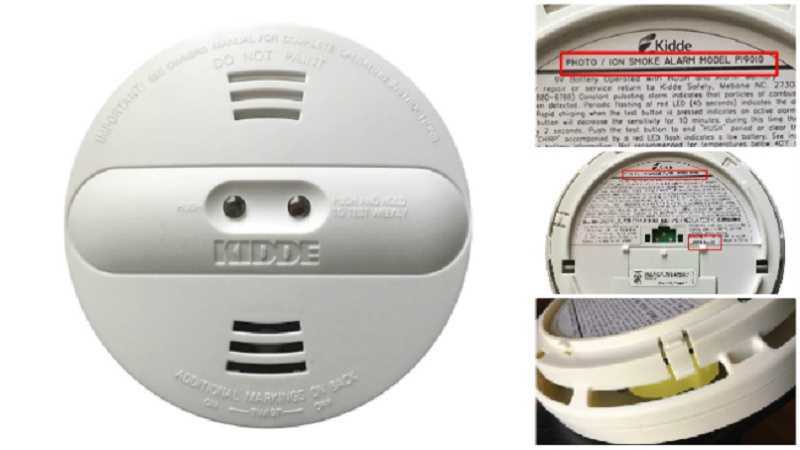 Manufacturer Kidde has announced a recall of two models of its popular smoke alarms due to a possibility of protective caps in place that should have been removed in manuacturing. It's estimated that 425,000 dual sensor alarms were sold in the U.S, including model number PI2010 (hardwired) and PI9010 (battery powered) with "Kidde" printed on the front. The protective caps could compromise the smoke alarms' ability to detect smoke, according to Kidde. Consumers should remove suspect alarms and look for the cap; if found do not remove, instead contact Kidde and request a free replacement. Alarms were sold at Home Depot, Walmart and other retailers between September 2016 and January 2018.